For our latest newsletter, I thought it best to take a look behind the proverbial curtain to share some more information about the “inside” workings of Richard Best Custom Homes. As I alluded to in the January newsletter, improving processes has been a major focus for the company in the past year. Last newsletter I shared details of the punchlist process overhaul, but every element here at the company has been under review. We have greatly expanded our selection support staff to ensure more individual attention for each client. We have also moved our selection and approval tracking to the Cloud to help with the dissemination of selections and designs among the project team. Moreover, we have instituted bi-weekly meetings on each project with its entire team for focused discussions on items for each home and reviewing its schedules—both selection and construction—to make sure things are running smoothly. In fact, we are currently working on schedules that allow for completion three weeks early so that I can personally visit the home to complete my own punchlist prior to move in. Those walks typically take 4-6 hours, which has already led to even shorter punchlists from homeowners and an easier transition into their new lives in their new homes. In keeping with the “behind the scenes” nature of this newsletter, let me profile two individuals that you may see around, but not know the full extent of their involvement here at RBCH. Chris White was the first employee I hired when I hung out my own shingle as a homebuilder. Before that he and I worked together for years at TD Reese and even then his attention to detail and passion for the minutiae of construction exceeded anyone else I had ever met. While Chris still runs some jobs in order to satisfy those needs, he has an equally important role as my Head of Construction. Chris reviews all the structural plans from the engineer to ensure that they are consistent with the needs of the homeowners and current best practices. He also reviews the plans to ensure that mechanicals (e.g., plumbing and HVAC) are properly accounted for early in the process rather than figured out in the field all the while keeping an eye on the practicality of solutions and the budgets of the homeowners. Chris also mentors the other superintendents and helps troubleshoot any problems that may arise on their jobs in order to keep things on track on all the projects. Ross Daniel joined our team in 2013 first as my Controller but now as the Head of Operations. Prior to that, he ran a multi-generational family lumber business in Savannah. In that capacity we had worked together for 20 years and I knew well his personal integrity and keen business sense. Thus, I jumped at the chance to bring him onboard. Initially, Ross was charged with bringing Accounting fully back in house, but he quickly took on more of the day-to-day operational elements and thereby freed me up to spend more time focused on clients’ needs and jobsite reviews. More than anyone, Ross has spearheaded the process reviews noted above and has already proven to be a tremendous asset to RBCH and our homeowners, even if few ever get the chance to meet him. Thank you for letting me share all this with you. As always, I appreciate the chance to keep you informed of everything going on here and hope this glimpse into the “back office” helps illustrate our commitment to improving every aspect of the process with a focus on always improving the results for our clients and homeowners. Of course, if you do ever have any questions or I can ever be of assistance, please do not hesitate to reach out to me personally. I am always here to help. Enjoy your Summer and I will look forward to seeing you around the Bluff soon. 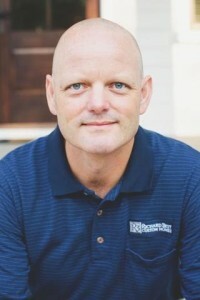 Chris White, a graduate of Georgia Southern University, holds a degree in Building Construction and Contracting with a minor in small business management. 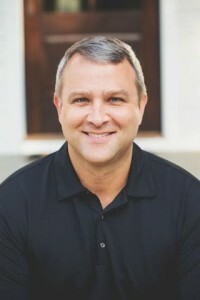 During his over 20 year tenure in the construction industry (17 working with Richard) he obtained a class V General Contractors and South Carolina Residential building license, as well as a General Contractors license in Georgia. When he is not immersed in construction, he enjoys competing in triathalons , GNCC racing and spending time outdoors. Ross Daniel is a Savannah, Georgia native and a University of Georgia graduate. He has been in the construction industry for over 20 years. Prior to joining the Richard Best Custom Homes team in 2013, Ross was a partner in a family-owned lumber company, custom millwork and cabinet shop, which supplied many of these building supplies to Richard. Along with working in the construction industry, Ross served for 10 years in the US Air Force/Ga Air National Guard as a C-130 Navigator. He, his wife Lisa, and their 12-year-old twins, Liz and Sid live in Savannah and are members of St. Peter the Apostle Catholic Church.